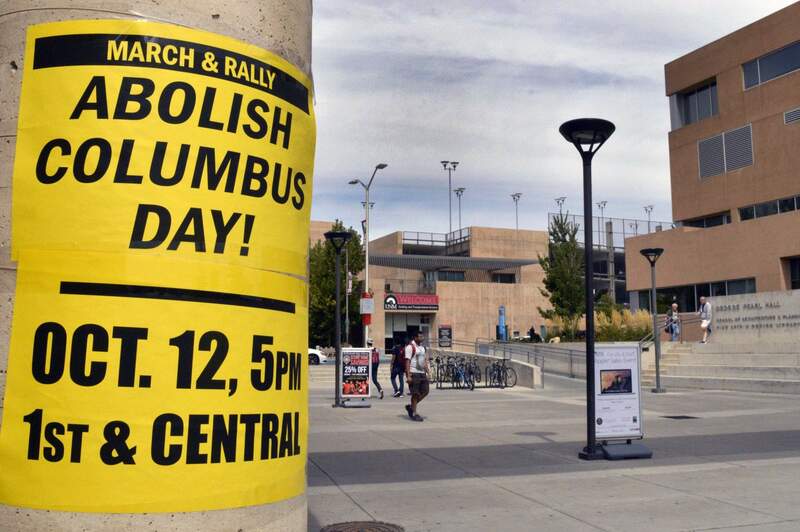 The Colorado Legislature on Monday killed legislation that would have eliminated Columbus Day in Colorado. DENVER – A measure that would have eliminated Columbus Day in Colorado failed to advance in the Legislature on Monday. The House State, Veterans and Military Affairs Committee killed the bill 7-2. Lawmakers ended the effort after taking emotional testimony from dozens of people on both sides of the debate. The bill was partly inspired by Ruthie Edd, a Fort Lewis College student, who pushed for replacing the holiday with Indigenous Peoples’ Day in Durango. The Durango City Council in January backed the proposal, which inspired a lawmaker to act on the state level. The committee amended the bill to just eliminate Columbus Day, rather than replace it with Indigenous Peoples’ Day. Salazar said doing so would have allowed for future legislation that would create days for both Italians and indigenous peoples. But that wasn’t enough for Rep. Dianne Primavera, D-Broomfield, who is Italian. She said she would have rather seen a bill that honored both Italians and indigenous peoples. Some were frustrated that the bill first received a hearing three months after it was introduced, in the waning days of the legislative session. The hearing Monday took place during a marathon meeting of the committee, which saw several other controversial pieces of legislation. The Columbus Day hearing didn’t come up until almost four hours after the committee began. Columbus Day falls on the second Monday of October in honor of the Italian explorer. For years, the holiday has swirled with controversy, as Columbus’ critics point out that he engaged in genocide and slavery. Those on the other side, however, say any attempt to eliminate the day is an attack on Italian Americans, who celebrate the holiday, not so much for Columbus, but to honor their Italian culture. But Sky Roosevelt-Morris, a Native American supporter of the bill, said to continue celebrating the holiday would be tantamount to honoring crimes against humanity.